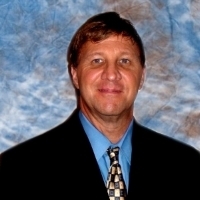 He has over twenty years experience in Flood Risk Analysis, specializing in flood zone preparedness, flood disaster management, and helping property owners to acquire better flood coverage, lower flood deductibles, and better sub-limits. Stephen has partnered with FEMA and multiple U.S. and Canadian property insurance carriers on varied projects. His unique experience includes guiding the National Flood Insurance Forum (NFIF) in reviewing online course education and legislation advisement for the Biggert-Waters Flood Insurance Reform Act of 2012. Stephen’s passion for flood prevention came from his front-line efforts as a participant for the Hurricane Katrina Recovery Team. His expertise coaches clients to safe standards and cost effective profitability. She has over 5 years experience in flood risk analysis and flood mitigation. Her masters is in advanced holistic nursing and she is a board certified holistic nurse. She has over 8 years experience as a nursing professor and uses her degrees and expertise to build meaningful business relationships. Timo is the cute, lovable puppy that mostly sleeps, eats, and enjoys long walks, treats, and being petted. He also models for our social media content! Thank you for reaching out to Flood Risk America. We will get back to you shortly! Send us a brief message and we will get back to you with the best flood risk management solution tailored for your business. We are excited to work with you and help you solve flood-risk puzzles.